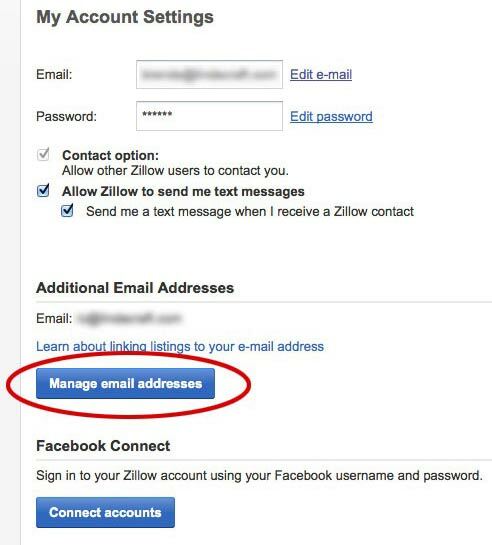 Once you've generated an unique email for Zillow in your Lead Email Setup, please navigate to http://www.zillow.com to complete the setup process. 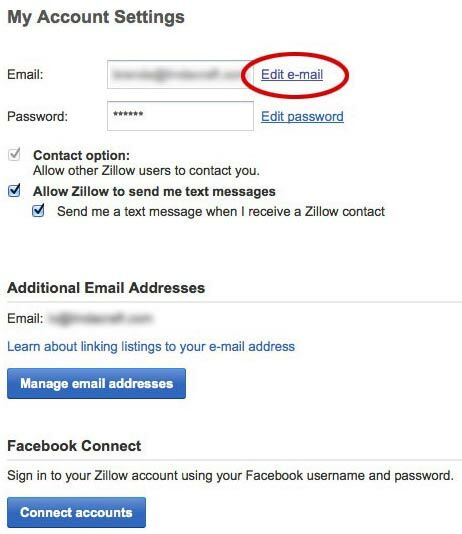 Please note this changes the login email address that you will use for zillow.com. We understand that this email address is not very easy to remember and we recommend you save the new login information in a password manager like LastPass, it's free. 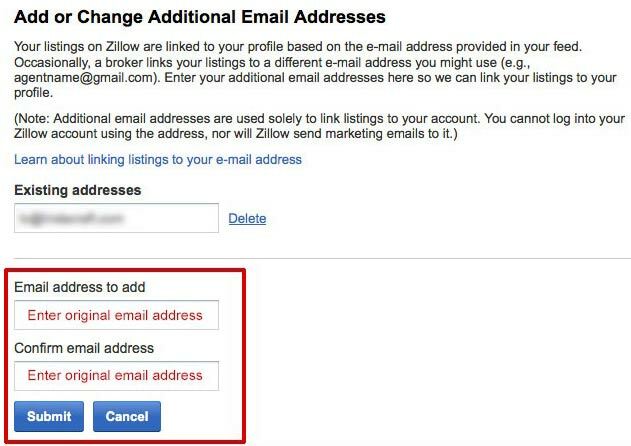 If you have listings on Zillow, add the email address you originally used to log in under the Additional Email Addresses section. Click Manage Email Addresses. Enter your original email address under Email address to add, confirm it, and click Submit. Remember following these steps will change your login email address! 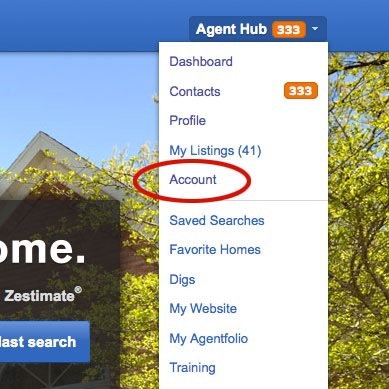 You may also link your Facebook account to Zillow and use that option to login.